Have opossums invaded your property? Opossums can be more than just a nuisance. In some cases, they can actually cause real damage to your landscaping and exterior. 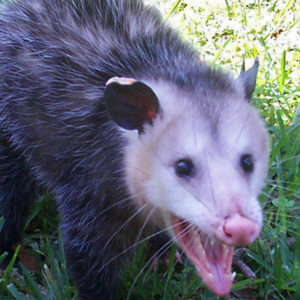 Opossums are known for their tendency to wreak havoc by digging up plants and getting into outdoor garbage cans. And whether you own a home or a business, the last thing you want is a long-term problem on your hands. So if you need reliable opossum control services in Charleston, SC, turn to our qualified team for help. At Williams Wildlife Removal, we have the tools and skills to help customers like you eliminate opossums once and for all. In all that we do, we strive to not only meet, but exceed our customers’ expectations. That means you can expect thorough, reliable service every step of the way. If you’re facing an opossum invasion, we’re here to help. Call now for more information or to schedule an appointment.